Photo from: Thomas Müller. 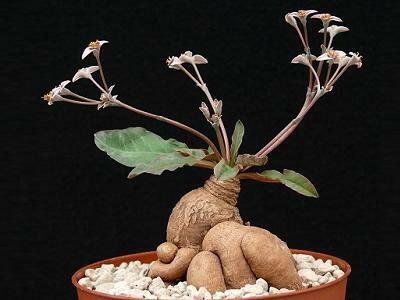 This member of the Euphorbiaceae family was described by Werner Rauh in 1970. 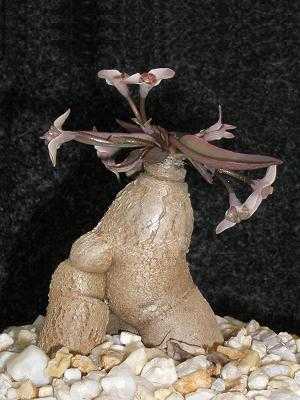 It is found on Madagascar, growing in grit or other well drained soil with little water and lots of sun. 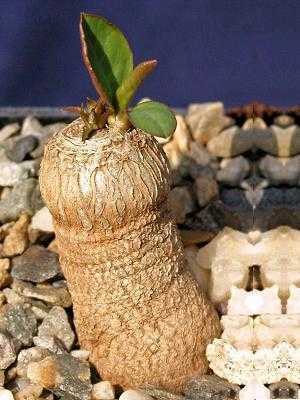 The caudex can grow to four centimetres in diameter, the whole plant to twelve centimetres height. The flowers are white.